If you’ve been comparing commercial printing companies in Warminster, PA, you might be overwhelmed by the number of options. How can you know which companies are legitimate and provide quality services, and which ones are sub-par? You don’t want to trust your business to a company that won’t provide you with the graphic prints that you need to keep your customers satisfied and your audience engaged. The best way to tell which commercial printing companies in Allentown, PA are providing the services that deserve your business is by reading customer testimonials from previous clients. Finally, a number of business owners in North Wales want fellow business owners to know that our staff is ” knowledgeable of [their] craft evolving with technology and always put out a great product. Regardless of the project, [they] never worry about the finished piece with Tiger!” These reviews are unedited except for length, and now available from Tiger Printing Group’s customer service team. Doing your due diligence and reading reviews is your responsibility to make sure that your customers and your business is getting the best possible services. If you’re interested in reading more reviews from Tiger Printing Group’s many satisfied customers or learning more about our services, browse our website or give us a call today at 215-799-0500. If you need a printing job completed, you have two basic options when it comes to getting what you need: digital printing and offset printing. The basic difference between offset and digital printing lies in how the materials are created. Offset printing requires plates that transfer the image onto a roll indirectly, while digital printing in King of Prussia, PA uses toner and ink in much the same way that a home printer does. Digital printing has gained traction in recent years thanks to the spread of technology, which has made it more accessible than ever before. If you’ve been considering going with digital printing in Allentown, PA for your next project, here are a few benefits that you’ll receive when you trust your job to us here at Tiger Printing Group. Lower costs for small batch processes. Because digital printing does not require plates to be made to suit your design, your business or group can enjoy lower printing costs when creating small batches of materials. Lower minimum quantities. Thanks to improved technology, it’s now easier than ever to create digital designs, meaning that you won’t have to order a large number of pieces to get the best price possible. Digital printing is the best choice if you need a small number of materials, usually under 25 individual items. Environmentally friendly processes. We are committed to doing everything that we can to lower the carbon footprint of their digital printing processes. From using 100% recycled paper to coordinating shipments to avoid unnecessary fuel usage, we are the environmental choice when it comes to digital printing. Anyone interested in learning more about our processes here at Tiger Printing Group or about the differences in printing types is encouraged to call 215-799-0500 or fill out a contact form on our website. Since 2002, Tiger Printing Group has been providing high-quality custom printing solutions to businesses throughout the Greater Philadelphia area. Here, we do it all: from stationary and signs to magazines and brochures, we have you covered. We know what it takes to stand out from the crowd, and we endeavor to help our clients do the same. As the market becomes more and more saturated, spreading awareness of your company only grows more important, and having distinct and professional promotional materials lifts your brand above the competition. At Tiger Printing Group, we strive to improve our services every day. Whether a customer needs large format printing in Princeton, NJ or printing services in King of Prussia, PA, we serve only the best. This commitment to excellence comes through not only in our printing processes but also in our dedication to sustainability. To those ends, we have initiated the conversion to using Fuji processless plates, which offers several advantages. Typically, after a printing plate is set, it goes through a plate processor for treatment before going to press. With this new technology, we will skip the middle step altogether. In its treatment of the plate, the processor uses a certain amount of chemicals and energy, while also generating a small amount of waste. Without it, we can more easily reduce our carbon footprint. Using water responsibly is paramount to any company seeking to be more environmentally friendly. With this new printing method, we will need less water. On top of that, the water we do need will be used more efficiently. This technology, in addition to being more sustainable, also ensures consistently high-caliber product. Streamlining the operation increases the productivity, as well as reducing the need for maintenance. Our dedication to green company practices does not stop there. We are also in the process of converting all of our lighting on site to LED. These lights use energy much more efficiently than traditional lighting and contain no toxic chemicals. Fluorescent options, for example, often contain mercury, which contaminates the environment. Their increased lifespan also means a lower carbon footprint. To learn more about our dedication to sustainability, printing services in Lansdale, PA, or other ways our company can help elevate your brand, call us at 215-799-0500. In today’s fast-paced market, consumers have more choices than ever when it comes to nearly every product available. With so many options, what makes consumers choose one business over another? The answer lies in the marketing. Making the core message of your business stand out will help solidify your name in consumers’ minds when it comes to making a purchase decision. Innovations in digital printing in Allentown, PA are helping local businesses think outside the box when it comes to marketing, and the best digital printers are always providing new and fun ways to stay in the minds of your potential customers. Tiger Printing Group, one of the top sources for digital printing in King of Prussia, PA, is proud to extend their line of services by offering a fun and amazing innovation that’s taking local businesses by storm: glow in the dark printing! Glow in the dark digital printing is unique, stands out from the crowd and offers an interesting product that will pique the interest of potential customers. When most of us receive advertisements or mail, it goes into the garbage without a second thought; if you want the message of your business to stick in the minds of consumers, you need to offer them a reason to stop and look at what you are saying. Ask yourself: when was the last time you saw a print advertisement that glowed in the dark? This is exactly what your customers will say to themselves, paying special attention to you, your business, and your services! From brochures to flyers, glow in the dark can help you grow your business this season. While standing out is important, Tiger Printing Group also knows the importance of responsible digital printing. Tiger Printing Group’s process is environmentally friendly, and all paper waste, cardboard and aluminum are recycled. If you’re looking for an attention-grabbing way to design, as well as a company that prides itself on environmental responsibility, Tiger Printing Group is the choice for you! It’s harder than ever today to make your business stand out from the competition. Think about the number of advertisements you see on a daily basis; from billboards to commercials, printed flyers to magazine pull-outs, you’re accustomed to being bombarded by advertising materials at all hours of the day. With so much competition, how can you ever reach new customers? The answer lies in your printing method. Gone are the days when a simple black-and-white layout will catch the attention of your potential customers. With new digital printing technologies, you can create unique, bold and vivid advertisements that will make potential customers take note of your business and returning customers consistently aware of your new products and services. Our printing services here at Tiger Printing Group in Allentown, PA can help you to achieve your ideal branding and help to create commercial advertising that stands out from the crowd. Commercial printing describes any process that takes artwork and transcribes it onto something tangible for your business. Our printing services in Warminster PA provide a host of commercial printing solutions for your business, ranging from something as small and detailed as your business cards to huge banners and posters for events! Advancements in digital printing technology can help you accomplish your goals quickly and at more affordable rates than ever. Your business shouldn’t miss out on all of the benefits of commercial printing. If you’ve got an upcoming event (like a trade show or promotional popup) make sure you have plenty of things to give away to potential customers so they can find your business after the event! Or, if your business cards are looking a little stale or old-fashioned, digitally print a new set that’s as fresh as your ideas! Contact Tiger Printing today! We’ll help you work with your budget and decide which type of commercial printing is right for you. We’ve got some big news to share at Tiger Printing Group! We were recently honored by the Graphic Arts Association for excellence in minimizing hazardous risks with the 2017 Environmental Health and Safety Excellence Award. We are overjoyed to receive recognition for our work towards creating a safe and responsible workplace. We aim to provide the leading printing services in King of Prussia, PA.
Our dedication to safety and our environment includes the utilization of CTP (Computer to Plate) technology, which aids in decreasing chemical usage and waste generation. We only use biodegradable chemicals and treat those chemicals before we dispose of them. In addition to our CTP technology, we also use the IMPACT system, which has PREPAC blanket rolls, which are pre-soaked in specific quantities of a low-VOC cleaning agent. Maintaining the highest levels of health and safety is at the top of Tiger Printing Group’s priorities, and we take special care to ensure that our disposal of waste material has the lowest environmental impact possible. Receiving the 2017 Environmental Health and Safety Excellence Award has reaffirmed our commitment to the program. It is a public recognition for how hard our team works together to promote a safe and responsible workplace. Our professional team members’ attention to detail and focus on customer service means that your job will be done the right way, every time. We offer a variety of services, and you can rest assured knowing that your printing is being handled by a company that is recognized for excellence in environmental service and safety. If you’re looking for the experts in digital printing in King of Prussia, PA, you have to contact Tiger Printng today. You can reach us by calling 215-799-0500 or filling out a contact form online. March 2nd marks our 15th anniversary, and as we look back on the years we’ve been in business, we can confidently say that we’re proud of our accomplishments. From our beginnings operating the offset press (a service we still offer today), to later adapting to the quickly changing industry as technology advanced, many moving parts have gone into our success, and the support we’ve gotten along the way has been crucial. We couldn’t have done it without our continually loyal client-base, and we will always put your needs and best interests first as we continue on for another 15-plus years. Whether you’re a restaurant owner looking for offset printing in King of Prussia, PA, a marketing professional looking to print catalogs, or someone looking for something in between, count on us to get the job done quickly, accurately and affordably. Embraced new technology: We started in 2002 with an offset press, and quickly discovered that it was one heck of a time in history to enter the printing business. The technology would change quickly, and the digital mindset would take over. In 2008, we adjusted to the demands of digital printing, by investing in digital and large format press technology. We never stopped operating the offset press (and technology has even helped enhance that process, too) but the area of our business that has seen the greatest amount of growth by far is the digital side of things. Always met the needs of our clients: At Tiger, the saying goes: We’re big enough to matter, but small enough to care. And our clients will agree with that statement. Our technologically advanced equipment and capacity for volume allows us to output the highest quality of products possible. Our business model allows us to deliver superior customer service and attention to detail that’s leaps and bounds ahead of any big box printing operation. In a world that’s become less and less personable, we’re proud of that motto, and we’ll continue to stay big enough to matter, but small enough to care. Stressed the value of our employees: We started with 3 people, and today we’re up to over a dozen employees. As we’ve grown our business and hired more and more helping hands, we’ve made bringing the right employees aboard one of our top priorities. Our employees are integral to the success of our operation, and we wouldn’t be where we are today without their help. All in all, our digital, large format and offset printing operation serving Warminster, PA and surrounding areas is proud to turn 15, and we look forward to seeing where the next decade-and-a-half takes us. Don’t expect a quinceanera though, because we have printing to do! We all know that marketing is about delivering a message, and when you think about that phrase literally, who delivers more messages than the U.S. Postal Service? Of course, the answer is nobody. Now, you can reap the benefits of the Post Office’s unsurpassed access to the public eye with Every Door Direct Mail. EDDM allows small businesses to reach local customers without having to purchase mail lists or mail house services. But what does a commercial printing company from Greater Philadelphia, PA have to do with the logistics of mailing marketing? Good question. Every Door Direct Mail is a program that the U.S. Postal Service offers to business owners, allowing them to hone in on who they’re targeting from a geographic standpoint. For less than the price of a stamp (per piece sent), the USPS will deliver your marketing materials to homes on mail routes of your choosing. You can log onto their site, and look at an interactive map, which allows you to find and pick specific mail routes. Once you find one of interest, you can narrow in on the demographic details about the homes or businesses on that route, and from there, decide if you want to deliver your materials to those people. Visit our site or the post office’s site to learn more. So you have a great message and an effective means of delivering it, but there’s one more important consideration to make: the visuals. The fact of the matter is, there’s a lot of print marketing out there, and having a stake in the game is certainly effective, but it’s crucial that your visuals stick out and dominate over the rest of the noise. That’s where employing the expertise of a quality printing solutions provider comes in. Here at Tiger, we use the industry’s most advanced equipment to make our clients’ messages look as good as the services they advertise. Keep in mind, presses and large format printers are not one in the same. A piece of print marketing that is created via a desktop, big box store or local shipping store’s copier vs. one of our digital, offset or large format printing machines will prove an undeniable difference in quality. Not to mention, our printers combined with the other services, materials and add-ons we have to offer will equal your message sticking out and leaving a positive impression upon the eyes of its beholders. Touch base with us today to get squared away with a EDDM marketing campaign, powered by Tiger Printing Group. In this day and age, you can tack just about any word onto the end of the letter “e.” For instance, you have email, ecommerce, e-marketing and e-mc2, to name a few examples. Well, maybe not the last one, but you get the drift. It doesn’t take an Einstein to understand that the internet dominates business. But let’s go back to e-marketing. As a business owner, you know how important it is to market yourself online—there’s no argument there—but does that mean print marketing is now obsolete? Far from it, actually. If it was, for example, there’d probably be an app for virtual business cards (million-dollar idea? ), but the fact of the matter is, traditional printed cards are as useful as ever. Moreover, the value of printed materials to enhance and promote your business doesn’t end with those 3.5 by 2 pieces of cardstock. Arguably the most important “e” word of all is engagement. Printed materials allow your message to be delivered in an engaging fashion, and that translates into your potential clients and customers spending more time looking at what you have to say. There’s no trash can icon to click when a printed material is in the hands of a potential customer. Sure, that person can physically throw it away, but chances are they’re going to glance it over before they do. Physical items are inherently valuable in that regard, because if the potential customers have a chance to see what you’re marketing, there’s a greater potential for them to want to utilize your services. The caveat is, you HAVE to make sure it’s presented sensibly and in an aesthetically pleasing way. Email blasts sound great, but they can be a crapshoot in that you might be marketing toward a completely irrelevant audience. Print marketing campaigns are easier to gear toward the right eyes. 15% of all media advertising is deployed through printed materials in the United States. People still redeem printed coupons—to the tune of nearly 3 billion instances per year in America. Almost 80% of American households still read direct-mail advertisements. In terms of email marketing, unsubscribe rates are high, and tend to peak during the summer months. It is not possible to unsubscribe from printed materials. Millennials appreciate print too! Americans ages 24 and younger are extremely responsive to direct mail. Remember vinyl LPs? Their advantage over mp3s are all the tangible bells and whistles that come along with buying a record. You have album art, liner notes, lyrics and even a poster if you’re lucky. All of those things make them seem more personable. Much the same can be said about print marketing. Having a physical material just feels less cold than an email. And that warm and fuzzy feeling—subconscious as it may be—will translate to the customer’s overall perception of your company. But Don’t Ignore the Internet’s Value! Integrating your print marketing campaign with the virtual world is a smart idea. Between QR codes and the like, you can easily direct consumers to your website for ecommerce or social media to further keep up to date. From business cards to large format printing for your Philadelphia area company, you can depend on Tiger Printing to produce strikingly sleek materials for your marketing campaign. Inquire today to learn more. Despite the societal shift into all things digital, offset printing still reigns when it comes to large-scale, high quality jobs. The devices themselves haven’t changed much over the past few decades, but the advent of digital pre and post press technologies aid and enhance the process as a whole. The digital vs. offset printing argument is a hot topic in the industry, but that discussion is muted as far as we’re concerned here at Tiger Printing Group. Pitting them against one another doesn’t make sense, because it’s not a matter of which is better. Both types of printing are useful for their own respective functions, and since we provide a multitude of services that require both techniques, we’re more focused on how they can be used in conjunction together, and how we can implement digital advantages into the offset process as a whole. In other words, as far as offset printing goes, when it comes time to run the machine, the process is no different than it was 20 or 30 years ago. However, the accoutrements which aid in the efficient running of the press itself are vastly updated and digitized in the contemporary printing operation. For one, all of the prepress work is now digital. When it comes to short editions, a digital press is your best bet. So if you only need 250 copies of a brochure printed, we’ll use our Kodak NexPress 2500, and that’ll get the job done just fine. But say you decide it’s time to print a hundred thousand copies of that same brochure. Now it’s time to go to the offset press. Because of the industry’s advances in technology, making that switch is as easy—and consistent—as ever. Whereas in the past, scaling your project up from press A to the offset would’ve undoubtedly created a change in consistency, today you can rest assured knowing that the colors and quality from your offset run will look identical to that of the previous digital run of 250. Furthermore, our online storefront allows us to access jobs that you already have stored there with the click of a mouse. With help from today’s tools, the overall process couldn’t be much easier, and feasible, for businesses of any size. Whether you’re printing hundreds or thousands of pieces, the impact that digital printing and digital prepress have made on our industry allow your job to be more economic and relevant for your marketing campaign than ever before. 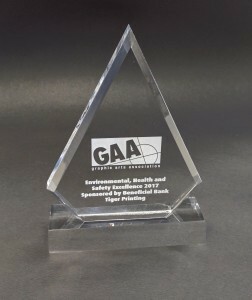 Most importantly of all, when you go with Tiger Printing Group, you’re ensuring that a highly trained and knowledgeable, and personable staff has its hands on your product. With the big box print shops, you never know who could be handling your job. Our employees know their clients on individual bases, and learn about, and cater to, their specific needs. When it comes to printing, consistency is the name of the game. We take every measure possible to ensure a consistent product that will utterly impress your clientele. Get in touch today to learn more about utilizing the digital and offset presses at Tiger Printing Group.